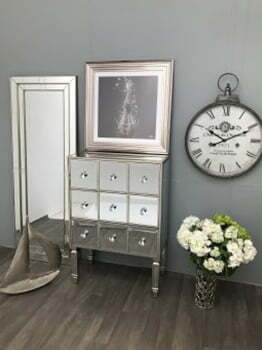 If you’re looking for the perfect piece of Princess furniture for a little girls bedroom or just want to add some finesse to an entrance way or bedroom, then the answer is simply to opt for a Mirrored Chest of Drawers. Storage is something that every home needs but it doesn’t have look as necessary as it feels. A Mirrored Chest of Drawers can breathe new life not just into the space you’re using but to the objects closed away inside. 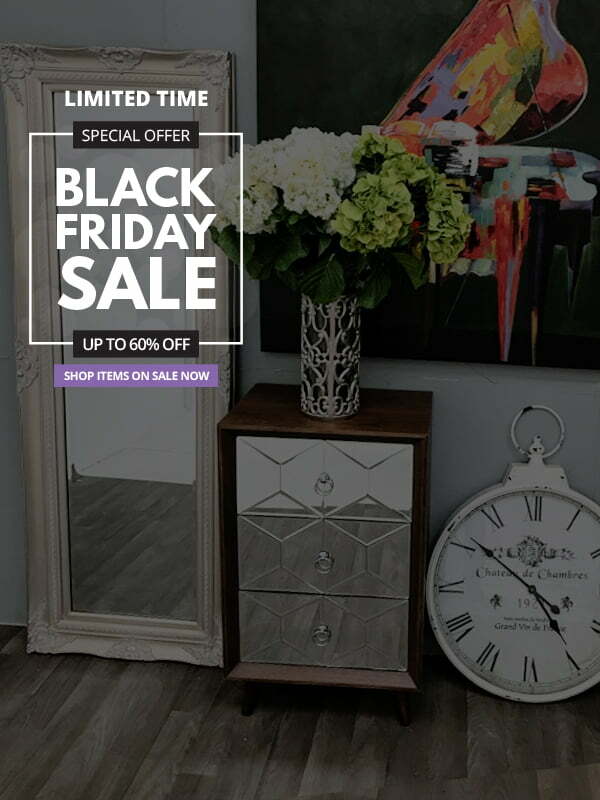 A Mirrored Chest of Drawers will always create the illusion that there’s something special hiding inside the draws just waiting to be unwrapped. 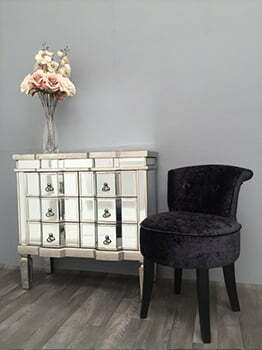 Interiors InVogue offer a way for you to discover cutting edge design and luxury style with their uniquely sourced furniture and household range. And during Black Friday it’s now the best time to take advantage of all sales! There are no hard and fast rules on which room should become home to a unique set of Mirrored Chest of Drawers. With these super stunning Mirrored drawers, the size you choose, can allow for a fit in rooms you might not have considered before. For instance, a 3 or 5 drawer chest would the perfect addition to larger sized bathrooms. Mirrored drawers can quickly become the most elegant way to store towels and accessories. In such setting, you can exhibit exquisitely fragrant soap baskets and perfume bottles for a personalised boutique hotel feel. The Entrance Hall to any busy household is usually awash with coats and shoes. With the simple addition of a set of Mirrored drawers you can store winter gloves, scarfs and hats all year round. You’ll also be sure to catch the eye of any visitors by adding family photographs and hand drawn pictures in glass or mirrored photograph frames. It’s THE fashionable way to achieve hallway glamorous style and create an imposingly striking first impression. When combined with an elegant chandelier for the lasting air of stylish furniture and grace it will look even better. Check Interiors InVogues’ online website featuring tailored and specialised mirrored and glass furniture. There’s a world of choices and interior design effects available at your fingertips. Along with providing real space to be utilised Mirrored and Glass furniture comes with the added benefit of making dark spaces lighter under a guise of stunning grandeur and sophistication. 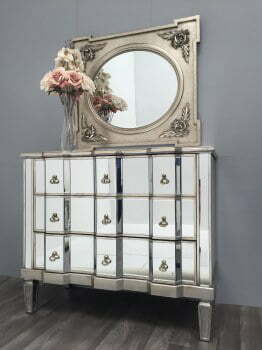 If you love the idea of adding a Mirrored Chest of drawers to a bedroom, then Interiors InVogue also have Mirrored dressing tables and Mirrored bedside tables to accompany them. 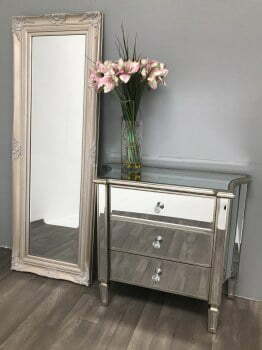 So to be sure of the answer to the question “Mirror, Mirror on the wall, who’s mirrored furniture is the most fabulous of all? You’ve come to the right place!